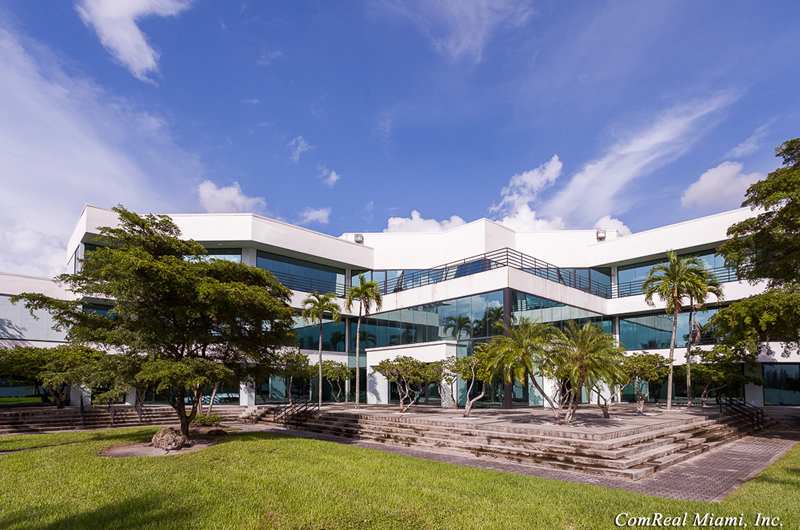 June 2015 – The ComReal Companies are pleased to announce the sale of the Americas’ Gateway Park Building located at 1800 NW 89th Place in Doral, Florida. The property consists of 110,500 sq. ft. building with a refrigerated warehouse and 30% office space. The sales price was $10,000,000 (or $90 per sq. ft.). The refrigeration systems and equipment were sold separately to the buyer for a non-disclosed price. This was the first and only time that this building has ever been on the market for sale. Focusing on past relationships and utilizing new technology drove ComReal’s sale of this trophy property. In the 1980’s, ComReal’s founder and president Stephen H. Smith, SIOR assembled and participated in the development of Americas’ Gateway Park. In 1989, Smith and ComReal assisted Peter Ullrich in the acquisition of the undeveloped six acres. The site is located in the corner of the park with 180 degrees views of the Fingerlakes. Mr. Ullrich then constructed a state-of-the-art refrigerated warehouse facility which was certainly ahead of its time in 1990. 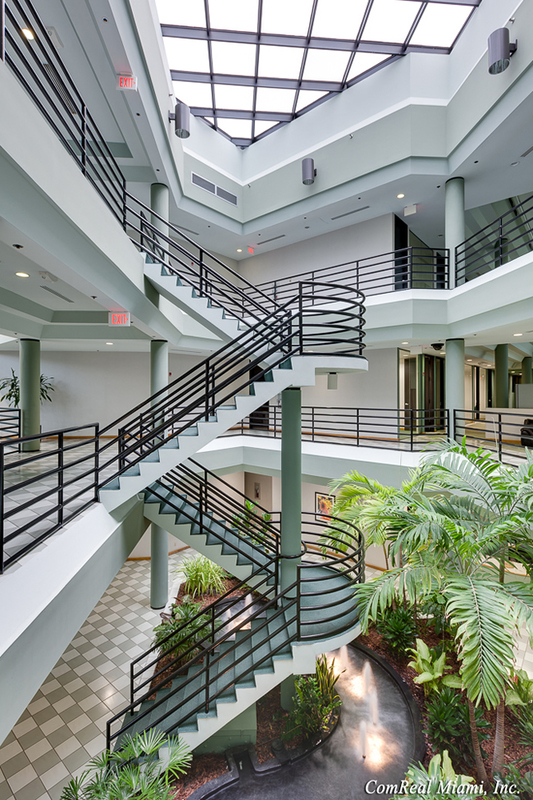 Several terraces, a three-story glass atrium and executive offices overlook the lake which are rare features with industrial properties in Miami. 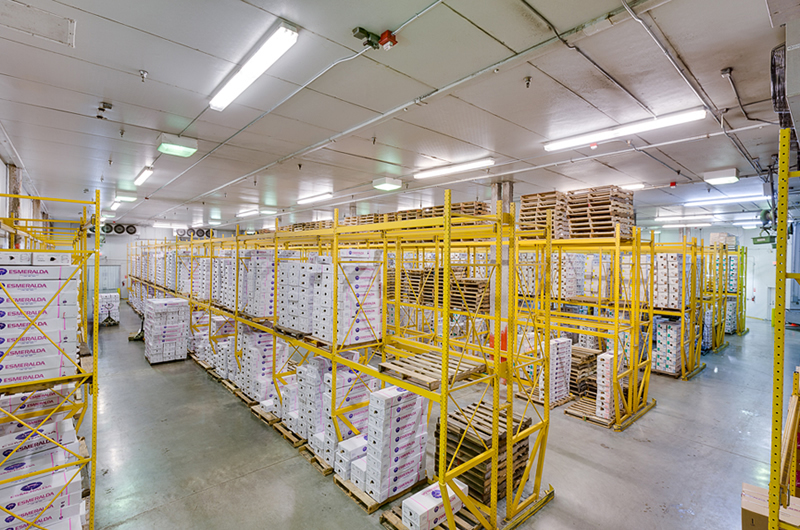 Upon sale, the property was operated by Esmeralda Farms, Connectaflor and Continental Farms; each is very well known within the flower industry and plans to remain in the facility. The new ownership, Freshworld Logistics, is also in the flower distribution business. The principals are Patricia and Jorge Garces. Their distribution company, G&G Cargo Services, has been in Miami since the year 2000 and imports flowers from over twenty countries around the world. Prior to closing on this property, the Garces sold their 28,500 sq. 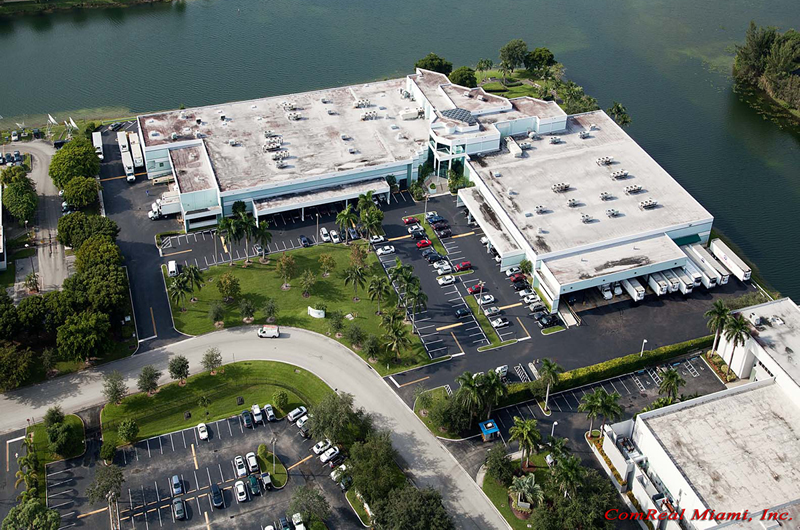 ft. warehouse at 2605 NW 75th Avenue to a seafood company for $3,700,000 (or $130 per sq. ft.). Visit them at www.ggcargo.com. “Warehouses in Miami are very cool right now. Literally.” stated Ed Redlich. “The perishables industry is extremely active in Miami’s industrial market. Both the flowers and foods industry are each competing for the same warehouses to keep up with their growth and expansion.” Below is a list of recent, significant transactions in Miami involving refrigerated warehouses. *Refrigeration systems had to be constructed. Having been instrumental in half of the above-mentioned transactions, ComReal dominates this product. “Our team tracks every refrigerated warehouse in Miami-Dade County. It is not uncommon for us to know when a property is available before it becomes publicly listed on-the-market for sale or lease.” exclaims Edison Vasquez. “We also maintain very good working relationships with those in the foods, produce and flowers industries”. Vasquez was born in Ecuador, one of the largest exporters of flowers to the USA. He notes that “Miami International Airport receives over 90% of all fresh cut flowers being imported into the USA. This large supply of flowers creates the high demand for refrigerated warehouses especially on the west side of the airport”. Redlich also points out “We are often asked by our clients in the perishables industry what is the total capacity for refrigerated warehouses in Miami. The answer is that with over 230M total sq. ft. and dozens of business parks with excess vacant land, we have an unlimited capacity for businesses needing cold storage. If a warehouse with existing refrigeration systems cannot be acquired, then a dry warehouse can be re-purposed to suit their needs.” Redlich serves on the PortMiami Perishables Committee and has traveled on trade missions to Panama, Peru, Colombia, the Netherlands, Germany, China and Hong Kong to learn more about the production and cold chain processes for foods, produce and flowers transported around the world. Now that the transaction has been finalized, what is next for the ComReal Industrial Team? 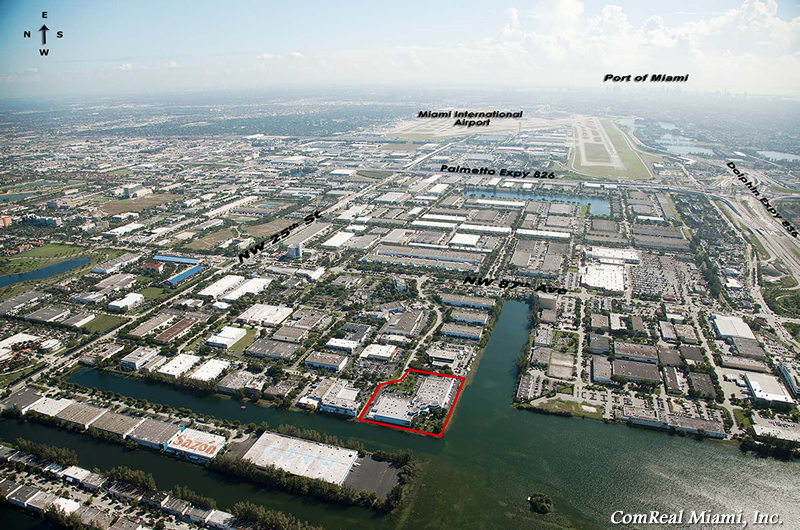 Chris Spear is pleased to report that they have just listed one of the largest, available refrigerated warehouses in South Florida. The Miami Gardens warehouse is 80,000 sq. ft. in size. It is located halfway between PortMiami and Port Everglades just off I-95 and on the CSX Railroad line. The warehouse was formerly occupied by Preferred Freezers and Sysco Foods. For more information on this property, including an aerial video tour, please visit www.MiamiCoolerWarehouse.com.